Although the title of this blog is about asking yourself “WHO AM I?” first, I feel that it is also important to show you how knowing yourself first can make your personal branding exercise relatively easier. It should flow smoothly and gives you a strong overall view of your branding. What is your purpose in life? Is it to travel the world, live a carefree life, devote yourself to helping the poor and needy, etc? What is your area of expertise? You can name a few but chose one that you can give advice, provide value and educate. Your vision is what you want to achieve in the future and it can include a timeframe of eg 5yrs, 10yrs or 20yrs. It should inspire you to do your best in your area of expertise. Set your goals to help you achieve the vision. Look at logos from McDonald’s, Starbucks, Nike, Amazon. They are easily recognizable and have a story to tell too. If you decide on a logo, it must be memorable and easily recognizable. Don’t have a logo that’s similar to a famous brand. You either get mistaken or get sued for copyright infringement! Your name itself can be a logo, too. If there are core colors that you like, you can use them either for your picture, logo, fonts, etc. Having brand colors shows your uniqueness and makes you stand out from the crowd. You can go to https://coolors.co/ to generate color theme for your personal brand. Choice of fonts is also important. It gives you the identity that you want to establish. You can choose feminine cursive fonts or professional san serif fonts. Take a look at www.dafont.com. They have a wide variety of font that you can choose from. A maximum of two kinds of fonts is advised – a guideline by graphic designers. What is your message? What do you want your audience to know about you? Think about a few keywords that you can put it into your message. What is your tone of voice? The tone of voice is different from messaging. Your message is what you want people to know. The tone of voice is how you say it. Have a set of branded pictures ready to be used for any of your online campaigns. It can be professional headshots, studio shots, outdoor shots, etc. Determine the style, color, the tone, etc. Once you have your brand identity done, it is so much easier to apply it to your online presence. Of course, we can’t forget about our offline presence too. Your online presence consists of your website and your social media platforms. When you have all your brand identity completed, you can apply them to your website and social media platforms. And it must be consistent throughout. Your offline presence is basically your lifestyle – how you present yourself, your interaction with other people, your style, choice of words to use, your body language, etc. Now, do you see why it is important that asking yourself “WHO AM I”, at the start of Personal Branding is important? If you don’t ask yourself this question, then you will struggle to do your Brand Identity and your Presence (online & offline). If your personal brand is not aligned, it will also affect your business brand too. Please feel free to ask me any questions or feedback about this blog. I was an ex-Administrative Professional who quit her job to follow her passion. Now I am a Personal Branding Specialist, Website Designer and a Social Media Enthusiast. 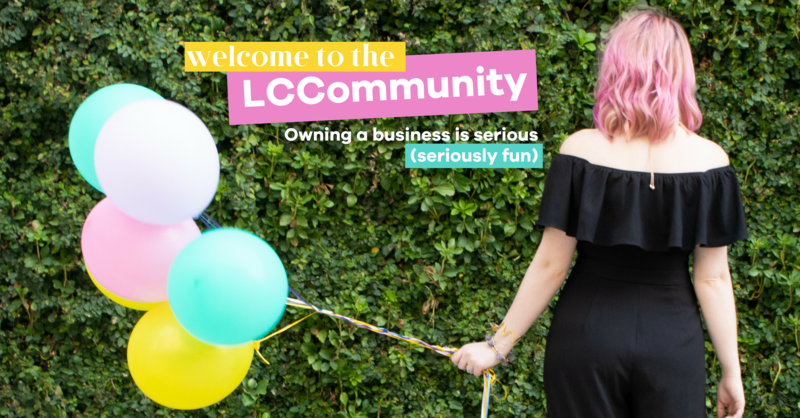 Want to be featured on the LCC blog just like Julia? Apply Now! DID YOU LOVE THE CONTENT YOU JUST DEVOURED!? If you did make sure you get more of it! Join the totally FREE Lady and Company Community to get access to peer support, free trainings and SO. MUCH. MORE !